Have you noticed my new sponsor banner on my sidebar? One of my blogger friend, Kiki, recently open her new online shop that sell handmade items. It is called Mon Claire~ I first saw about the products through her Instagram and her BBM display picture, and I quickly fell in love with all her cute collection. Mon Claire is an online store that sells handmade items like claire arm bands and claire beads. The Claire arm bands are very popular these days, even the famous Michelle Phan used it as her accessories. Claire arm bands is an elastic cute ribbon that can be used as bracelet or to tie your ponytail. Around last week, Mon Claire contacted me and offered a special discount code for all my readers (check out my sidebar for the code). 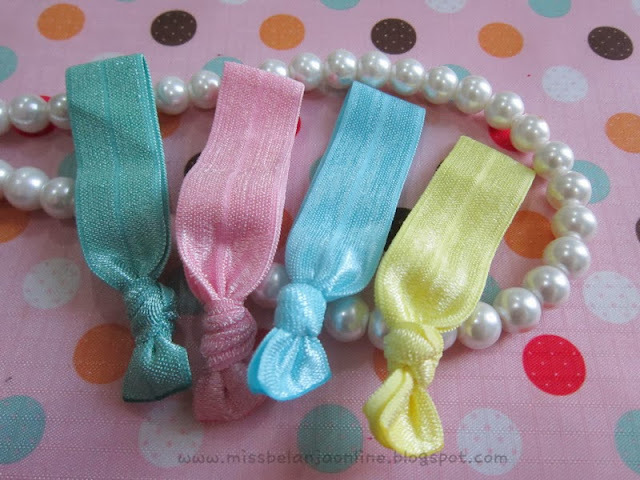 At that time, I also placed an order for some claire arm bands because I can't resist the cuteness when I browsed through the website. Everything are so cuteee!! Princess Claire Arm Band~ My favourite! It contains 2 different layers and the ribbon is from lace material. I love the pink and soft white color combination! I always love cute things (seriously I can't say no to cute things especially something with pastel colors). I also love how detailed are the packaging, somehow I can feel the sincerity of the seller when she packed the package for me. you look really pretty with the bang! 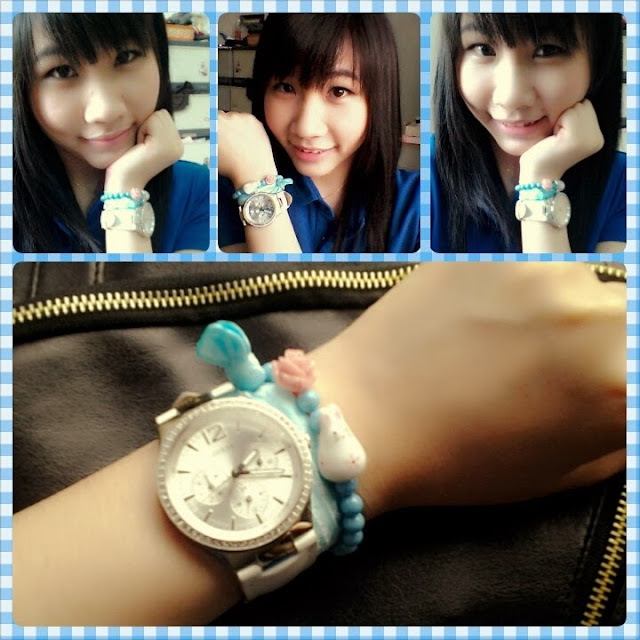 :D and the bracelet suits your style really well..